It started with Freckle Juice, and ended with Forever. But forever means forever.. and Judy Blume is forever a part of me. In the middle of those titles were Deenie, Tiger Eyes, Starring Sally J. Freedman as Herself, Are You There God? It's Me Margaret. 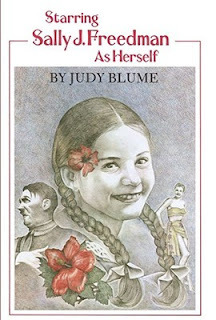 Yes, there were more of Blume's works that I read, but these are the ones that symbolize the childhood of Marie June-Ann Gardner. Starring myself: in all my splendor of gawkiness, full force. These are the books that got me through those awkward years; these are the books that showed me that is was okay to be a girl. That it was okay to be Marie. That it was okay to be different. That is was okay to have feelings. Feelings of insecurities, feelings of sadness, and the pre-teen angst of everything happening at once - too fast for my heart, too slow to keep up with the other girls. I read these books at least twenty times over. I went to the library and borrowed those books over and over again. There was a fantastic hardcover of Starring Sally J. Freedman as Herself (1977 edition?) that I probably had at my home longer than it ever spent at the library. I remember reading it outside on lounge chairs, in my bedroom, on the floor of the living room, bringing it to school with me (total dork that I was).. it was a significant novel that spurred my love for historical fiction that lives on to this day. 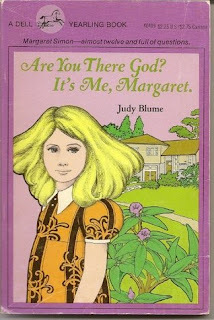 Judy Blume's novels got me through that life, and helped prepare me to be the woman I am today. As a book blogger, I talk books every single day, and if I’m ever asked of favorite authors, Judy Blume comes to mind immediately. She was a rock to me. I wrote book reports about her and her books whenever I could. She was the reason for twenty years of my life I said I wanted to be a writer. When I was about thirteen I decided I wanted to read Forever. I put my name in to put it on hold at the library, not having any idea how intense the actual book was. Turns out the librarian was on top of things and contacted my FATHER to let him know what it was all about. (AWKWARD!!) When it came my turn to borrow it, my father borrowed it so he could see if I was ready for it. He read through it, kept it 'hidden', and I secretly read it when he wasn't looking. He obviously had already told me I was not allowed to read it. ‘That’s okay, daddy. I understand,’ I replied sweetly. I've bought my daughter several of Judy’s novels, praying she will find the solace in them that I had found. Turns out she’d be more comfortable with the iPod in her hand instead of a book. Lord knows I am not ever going to let my daughter read Forever. Do you have a Judy Blume story? 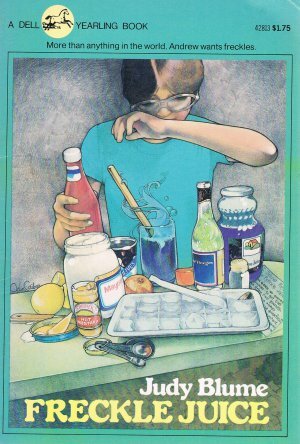 Join in on the Judy Blume Project! The project was featured on BlogHer, and you can submit your own story (information HERE) and maybe it'll be published! Find the project on Twitter and then also on Facebook. TSS | Mailbox Joys | Is it Spring yet?